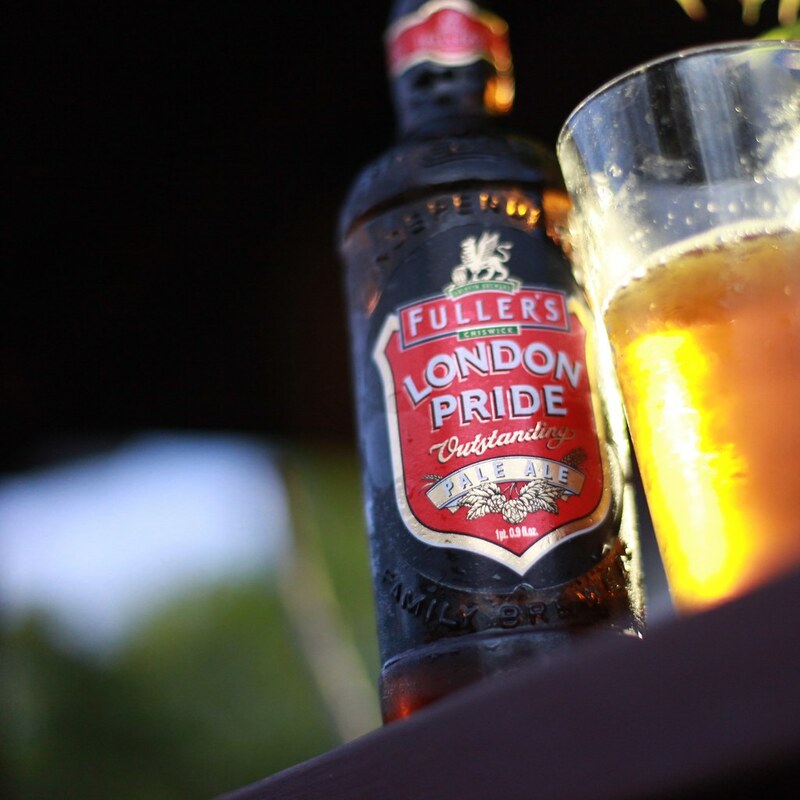 The clear amber color of Fuller’s London Pride Pale Ale (4.7% alcohol) was ideal to wash down some of the hearty barbecued fillet Mignon. WHAT TO PICK: So when it comes to wine, there are many choices and decisions to be made. Should I go with red or white? That means I have to first decide to have it with a meat or seafood entrée, what’s the choice if I don’t eat meat and just devour living plants? Should I go for what the cute lady at Trader Joes is suggesting or go with the Pinot Noir from that wino movie, Sideways? Oh No!…I am drinking red wine in a tall fluted glass instead of a deep well glass with the super thin stem—the wine police will come after me. With beer it seems to be much simpler—no temperature controlled wine cabinet or not enough legs issues. Pop the cap on the bottle and gulp it down. That’s it.